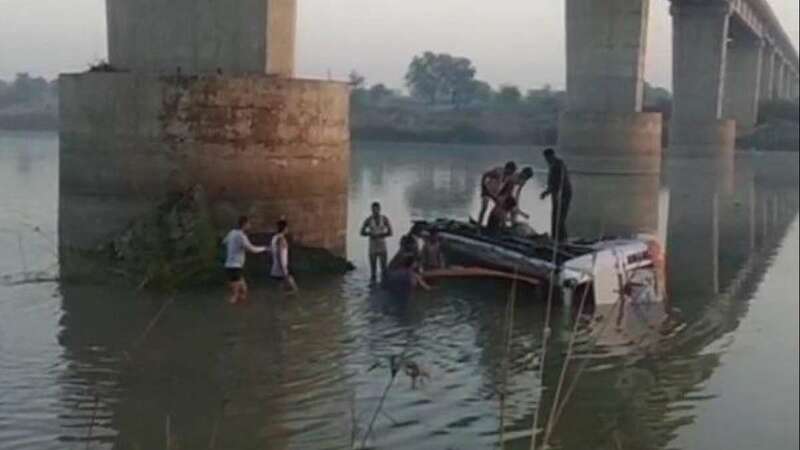 Jaipur : At least 30 people were killed and 15 injured when a passenger bus fell into a river on Saturday near Rajasthan's Sawai Madhopur, police said. According to witnesses, the bus was trying to overtake another vehicle on the narrow bridge. All the injured were rushed to a nearby hospital, the police added. The passengers travelling in the 40-seater bus hailed from Madhya Pradesh and Uttar Pradesh. Most of them were en route to the Ramdevra Temple in Lalsot.